When Roots and Recipes first began, my friend Audrey Ejdelman, who was living in Paris at the time, told me to contact her grandmother Clarisse Glasel. 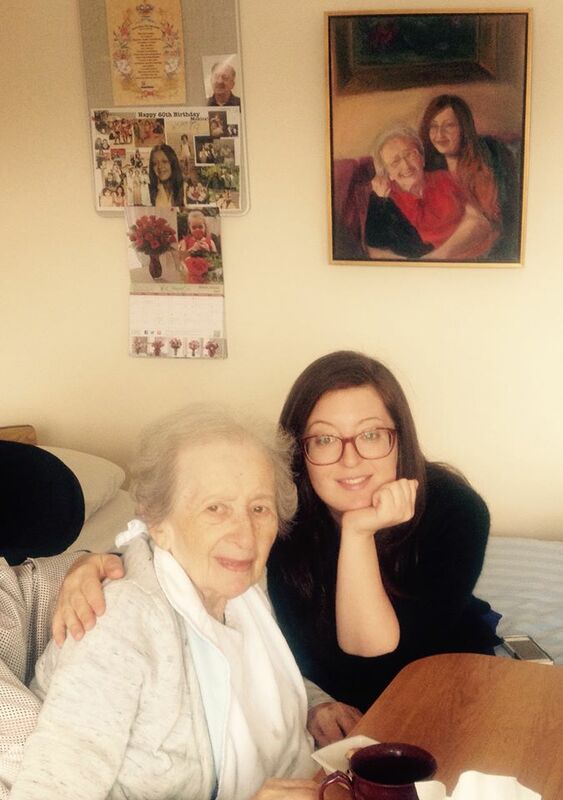 Clarisse was born in Romania and had a secret recipe for hamentaschen from her homeland that she made every Purim. Instead of filling the dough with dates or poppy seeds like most traditional hamentaschen, hers were filled with nuts, rum, citrus peel and honey. I was intrigued. Former Roots and Recipe’s member, Claudia Itzkovitch and I went to interview Clarisse and her daughter Monica. 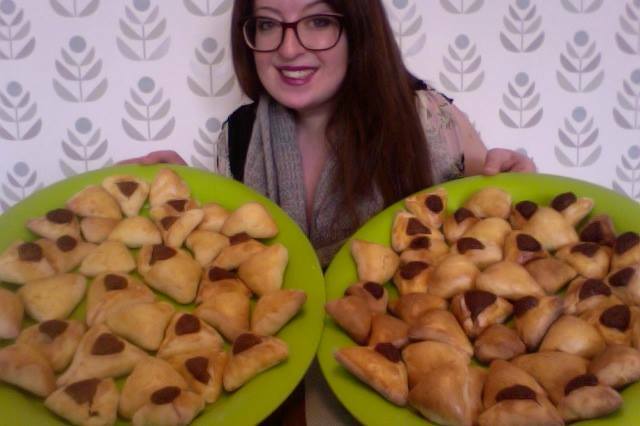 We tasted these hamentaschen that were offered to us out of a cookie tin box, and they tasted so unique and delicious. We knew this would make the perfect story for our first video. At the time, we didn’t have the film and editing crew that we do now. And although we got the audio version of her life story, by the time we got around to scheduling the shoot, we discovered that Clarisse’s husband Fred had passed away. Soon afterwards, we learned that Clarisse’s own health began to decline and she moved out of her apartment into the King David. Audrey returned home from her studies in Paris and last year for Purim we decided to make her grandmother’s famous hamentaschen together. We had to call up the expert a few times to make sure we were doing it right. 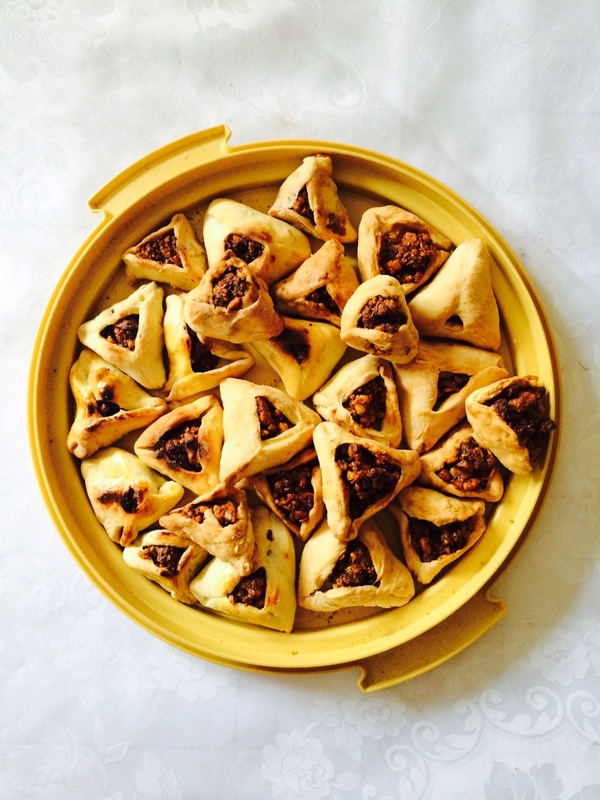 The recipe itself is a family secret, but we hope it can inspire you to think outside the triangle of prunes and poppy and into something new and innovative for next Purim!